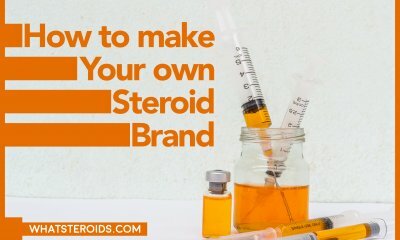 Are you looking for a way to start your steroid cycle? Testosterone cycles are probably the first thing that comes to the mind of an enthusiast. 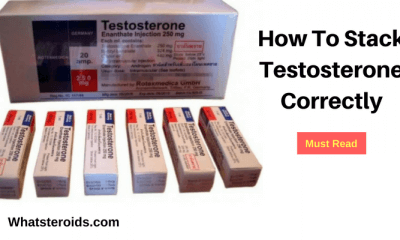 Before you start your routine for a testosterone product, you need to do a complete research on steroids, their effects, their types, uses and their cycles. 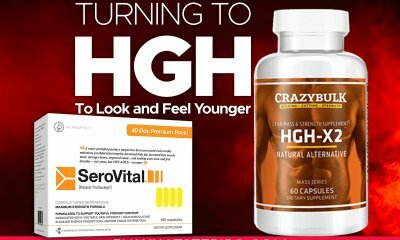 This article is intended to give you a detailed overview of testosterone cycles to be taken throughout the year. 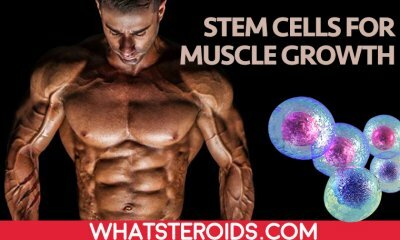 It is a notable fact that the human body itself plays a part in producing natural steroids which promote the necessary body growth and development. 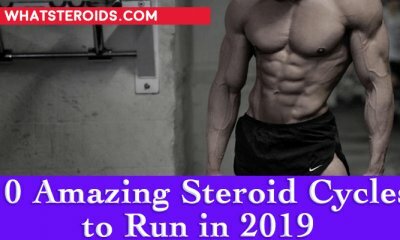 But, as a matter of fact, rigorous bodybuilding routine and challenging sports activities may require more steroids than the ones naturally produced by the human body. This is when man-made steroids come into the picture. Steroids are referred to as drugs that are valuable to be used in medical science to treat several medical conditions. 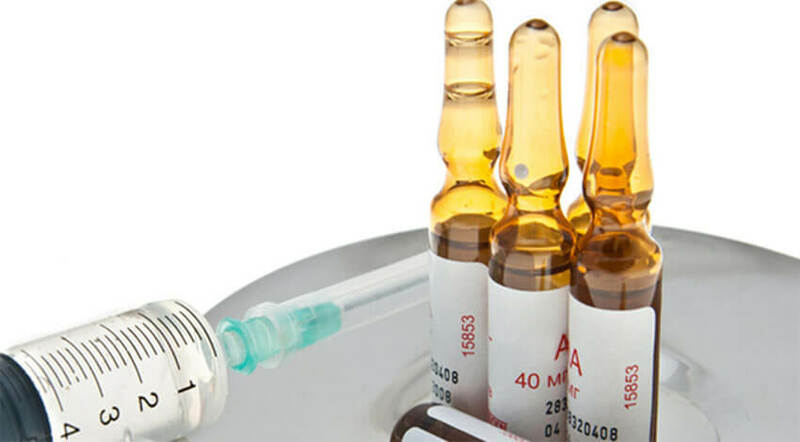 Steroids play a great role in treating medical problems and are used for the medical purposes such as treating testicular cancer, helping adolescents who are suffering from puberty issues, treating the concerns that cause degradation in muscle tissues. Steroid drugs are also used to enhance reproduction and regulation of metabolism as well as keeping the immune system strong. They are also utilized for the purpose of gaining muscle mass, treating inflammation issues and many other medical difficulties. 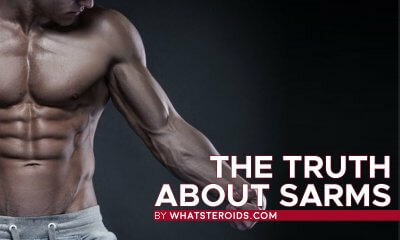 Many healthy and young people feel tempted to use steroids to gain muscles. Among the numerous hormones labeled as important for proper function of the body, testosterone is of utmost significance. Testosterone is a hormone which belongs to androgens. In fact, testosterone is a primary form of the androgenic hormone. Being a highly powerful hormone testosterone is responsible for the development of muscle tissue, for the testicular and prostrate growth, for the improvement of bone strength and density. Apart from these functions, testosterone is imperative for the overall health of the body. A decreased level of testosterone can even affect negatively on the state of mind. Inquire from any anabolic steroid user and the one thing which you are certainly going to hear is that nothing can be better than a good testosterone cycle. In many of the cases, testosterone is chosen as the only hormone to be used during an anabolic cycle particularly for the first time users. 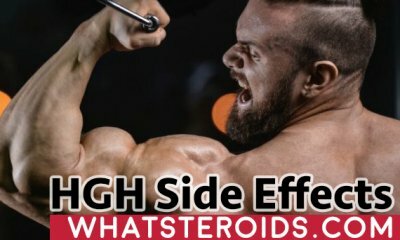 Since testosterone is a highly versatile steroid, therefore, the testosterone cycles are capable of providing almost every benefit users look for. 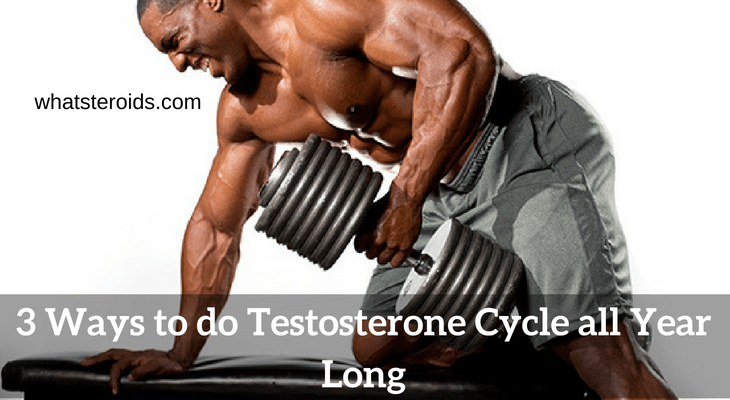 Here is an overview of testosterone cycles to be taken through the year. A simple testosterone cycle should be adopted for the beginners. To estimate the reaction in a proper way, it is better to start with a single and unique hormone at a time. 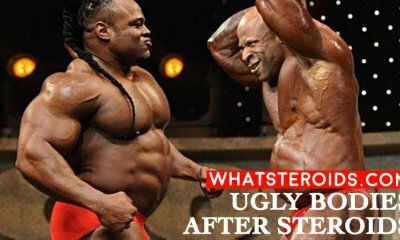 Since testosterone is the safest steroid which provides a powerful punch, therefore, it is wise to start with it. You can choose a simple single long ester testosterone. 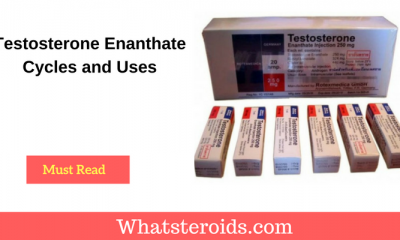 Testosterone-Cypionate and Testosterone-Enanthate can be taken too. In fact, they are even used in the advanced testosterone cycles. A testosterone cycle for a newbie usually consists of 400mg-500mg of testosterone use in a week. Two injections on the same days of each week can be taken. 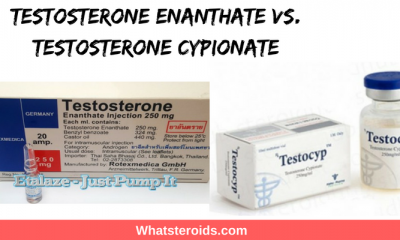 For instance, if you are following a cycle of 400mg/week, then you need to take a supplement of Testosterone-Cypionate in a dosage of 200mg/ml, one injection on Monday and one injection on Thursday. Once you have completed the newbie testosterone cycle. You can move to an intermediate cycle or long steroid cycles if you desire for a little more. Higher dosage of 750mg-1000mr per week range is taken in intermediate testosterone cycle. 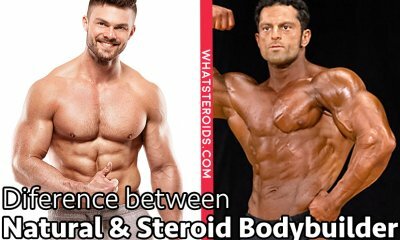 One thing which you need to keep in mind is that an increased dosage is not a necessity, you can stick to the dosage of 400-500mg per week while adding other anabolic steroids to get a good stack. But, some enthusiastic users are likely to want a little more. The way of injecting the product would remain the same as given in the newbie testosterone cycle except for the increased dosage. Such cycles are more than perfect for cutting and bulking. This cycle is recommended for individuals who are extremely thoughtful of their performance. For such users, the dosage will be 1000mg per week at a minimum and can be increased to as high as 2000mg per week. 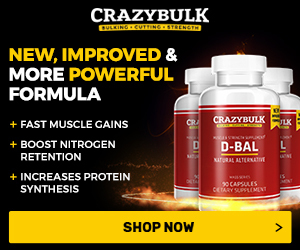 A dosage of 1750 mg per week is extremely common in a competitive bodybuilding circle. At the extreme level, dosage can be even higher but in our opinion, 1750mg per week range is more than enough. Such testosterone cycle needs to be run for 16 to 24 weeks. 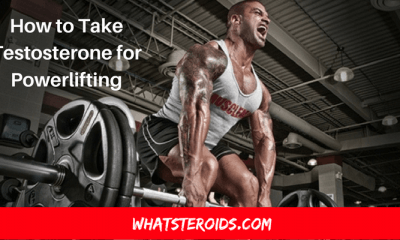 When you end your testosterone only cycles, you first need to keep all other anabolic androgenic steroids to be discontinued. This is the point when you have to begin a Post Cycle Therapy (PCT). The post cycle plan contributes to stimulating your natural testosterone production as it gets suppressed while you were on your cycle. Your post cycle plan is determined on the basis of esters that you have used. If you are planning to start a testosterone cycle then the first thing you need to consider is safety. When you use steroids for therapeutic use, keep in mind that negative effects start to occur when you start abusing the use of steroids. Consider all the pros and cons of starting a testosterone cycle before taking the final decision. 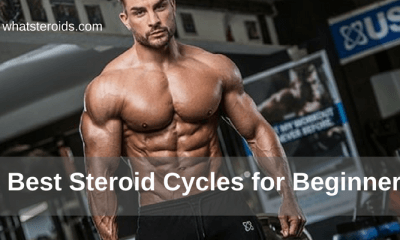 Once you have completed all these cycles, then you should also keep rest of the steroids discontinued that will support you to get awesome results. If you do this accurately, then you will be able to start the Post Cycle Therapy that can improve the outcomes and push you towards your ideal fitness goals. Post cycle plan is the one that helps you to stimulate natural production of testosterone, while it is always based on esters you have been using for a long time.